When was the last time you bought a CD? Most of us listen to music through a number of digital channels—MP3s, Internet streaming services like Pandora and Spotify, and satellite radio, to name just a few. Some people still like to have the physical disc as a backup, others buy them for better sound quality, but for the most part, our once prized CD collections are now nothing more than dust-collecting clutter. 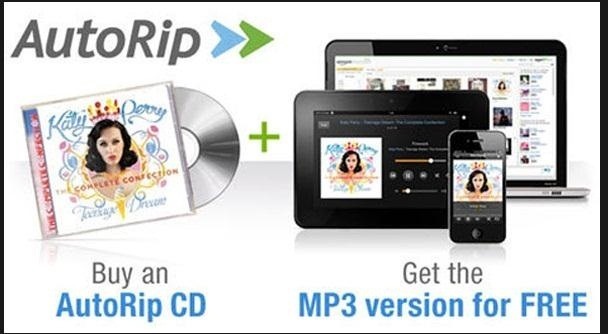 Yesterday, in an effort to entice customers to buy more CDs, Amazon rolled out a new service called AutoRip that offers a free digital copy of CDs bought from the company since 1998. Eligible tracks will be automatically added to your Cloud Player and can be accessed via mobile devices or downloaded as MP3s. The service has been met with mixed reviews, and while it sounds like a great deal (who doesn't love free stuff? ), it's not exactly what it appears to be. First, the description of eligible purchases is very vague and misleading. "CDs purchased from Amazon" literally means from Amazon, not a third party. So, even though you may have bought hundreds of CDs through Amazon, if they weren't brand new and purchased directly from the company, they don't count. Considering that a lot of people who buy CDs from Amazon either buy used copies or purchase them through resellers, that narrows down the options quite a bit. Lots of people seem to be getting the message below, stating: "Due to high demand, we are experiencing delays. We will email you when we have added your music." Unfortunately, this is another poorly-worded statement. It doesn't necessarily mean you'll be getting anything—users who don't own any eligible CDs are getting the message, as well. To be fair, though, the service is brand new and currently says it supports "thousands" of CDs, so it is possible that some customers will see songs pop up in the Cloud Player as more AutoRip music is added. 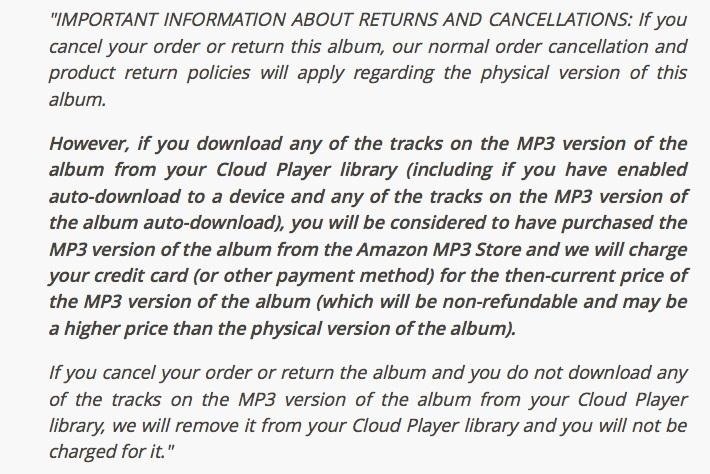 So, if you buy a CD and then return it, Amazon will automatically charge you for any tracks that you downloaded as MP3s, even if it happened by accident through their auto-download feature. In all fairness, it's understandable that they don't want people taking advantage of the AutoRip service just to get free music, but there has to be a way to do it that doesn't punish innocent customers. Also, "albums purchased in orders including one or more items marked as "gifts" at purchase are not eligible for AutoRip," so even if the CD is for you, you won't get a digital copy of it if you buy a gift for someone else in the same order. So, overall, it seems like Amazon is just trying to increase CD sales and the use of its Cloud Player, while packaging it as a free, added value to customers. Don't get me wrong—if you have bought a lot of music from them in the past and are able to get the free digital copies, that's great. It's just not as great a deal as they're making it out to be, and they're doing a disservice to customers by not being up front about what AutoRip really is. Have you tried it out yet? What has your experience been like? Tell us your stories (good or bad) in the comments. The whole thing seems pointless: just rip your CD and upload the tracks you like to whatever cloud music service you prefer. Amazon's is certainly not the best anyways. Google's supports way more uploaded songs for free.